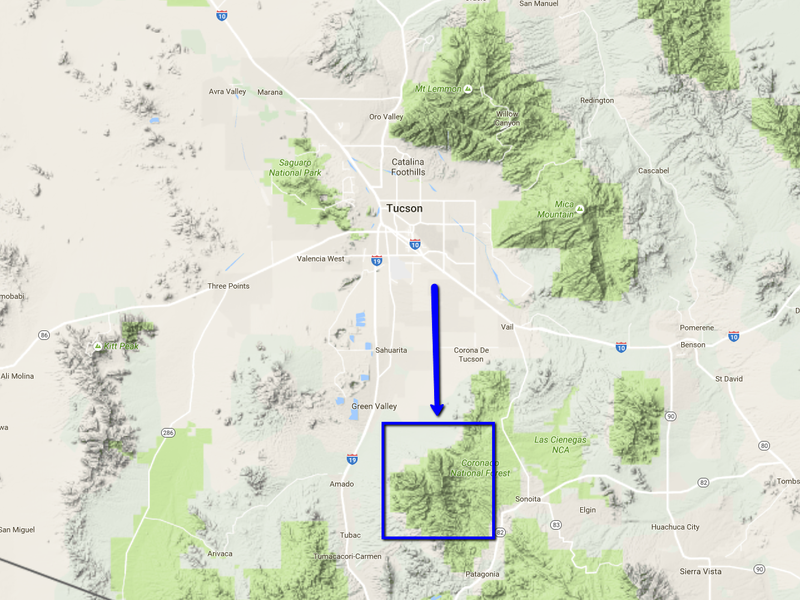 The city of Tucson is uniquely positioned to be surrounded by 5 different mountain ranges. There are the Tucson Mountains to the West, the Tortolitas to the Northwest, the Santa Catalinas to the North, and the Rincon Mountains to the East. If you're keeping count, you'll have noticed that was only 4. Until recently, that was the extent of Trailvoyant's coverage. Today, we're ecstatic to announce that we've added the 5th major range to our network of hiking trails and wilderness features. 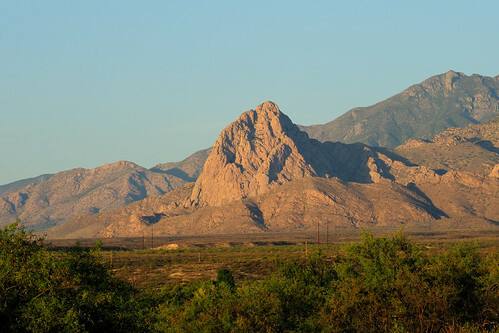 The Santa Rita Mountains are directly South of Tucson and they boast some of the best hiking anywhere in Southern Arizona. In addition to having the highest peak near Tucson, the range is also riddled with springs and human history. As of this posting, there are 4 official hikes built out in the Santa Ritas, and we'll be adding more in the days and weeks to come. Of course, if you can't wait to hit the trails down South, you can always build your own hike for a completely custom adventure. Either way, here are two hikes that we think everyone should do at some point. This nice little out and back hike takes you back and forth across a creek bed and through a tunnel of trees to one of the many springs in the Santa Ritas. If you're looking for more than one spring (this hike has 4) or perhaps you just don't want to retrace your steps on an out and back hike, look no further than the Bog & Kent Springs Loop. It has stunning views, a healthy elevation gain, and several spots to see water seeping from the mountain. PS - Like all trails in the Santa Ritas, this hike is Dog Friendly, which means you can use the new filter to find it. Poking up from the Northwest corner of the range, this prominent rock formation is recognizable from miles around and the view from the top is 360 degrees of amazing. Don't forget to bring your elephant tchotchke. Standing at 9,400 feet and change, Mount Wrightson is about 300 feet taller than it's more popular neighbor to the North, Mount Lemmon. The summit is above the tree line, which means you get incredible views in every direction as a worthwhile reward for making it to the top. 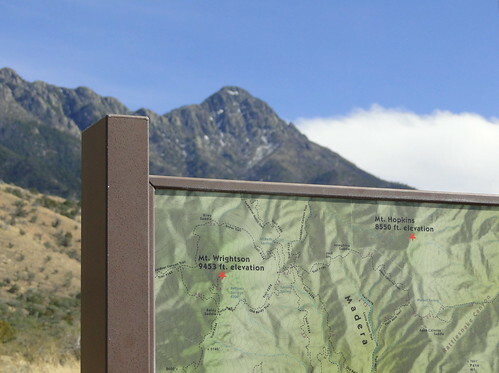 Do you have a favorite hike in the Santa Ritas? 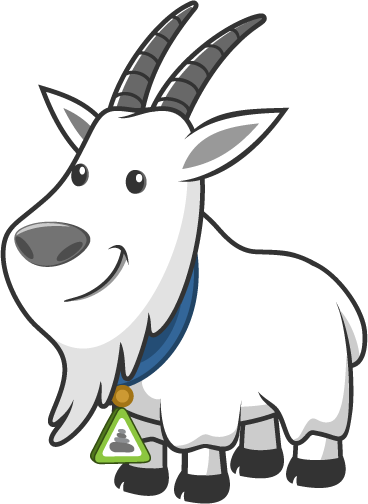 Is there one you think should be on Trailvoyant? Tell us what you think about this expansion in the comments.